Economist Antti Koskela searches for an optimal way to prevent cartel damage in society. He evaluates possible ways to promote whistleblowing - i.e. 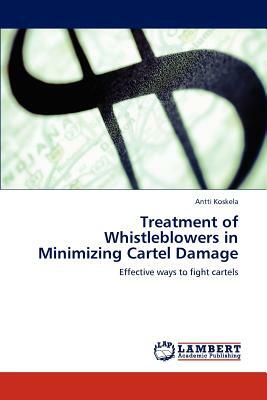 confessions - of cartels by enhancing the treatment of the whistleblowers. Another important theme is how to prevent economic motivation to form a cartel in a given industry. Koskela notifies that it is non-trivial to find a solution where neither the managers of a firm or the board of directors have motivation to pursue a cartel. Also, if cartels or other malicious antitrust felonies are discovered, who should receive the punishment and how should the punishment be determined? Furthermore, if a cartel is whistle-blown, is the confessor a firm or the people who did it? Enter the fascinating world of antitrust economics and policy through this high-quality thesis.